A brazen meat thief is suspected in a series of break-ins at restaurants across St. Louis. Goods have been stolen straight from the smoker at Salt + Smoke BBQ within the last month, and raw brisket was pilfered from a walk-in cooler at Collier’s Catering in Ballwin last week, reports Fox 2 Now St. Louis. The station cites a police report detailing the first burglary, which took place January 28 at Salt + Smoke: An employee called police to report that the doors of a smoker had been “compromised,” and the meat inside removed. The report does not specify the cuts of meat. A man thought to be the same thief returned to Salt + Smoke a week later and was spotted by staff as he loitered between two smokers. When confronted, the man reportedly told the employee he was just trying to warm up. He’s said to have made multiple trips between his car and the smoker area, Fox 2 Now reports. Another incident took place in March at Collier’s Catering. This time, the bandit and an accomplice were caught on surveillance video in broad daylight removing raw brisket from a cooler and carrying it to their white pickup truck. 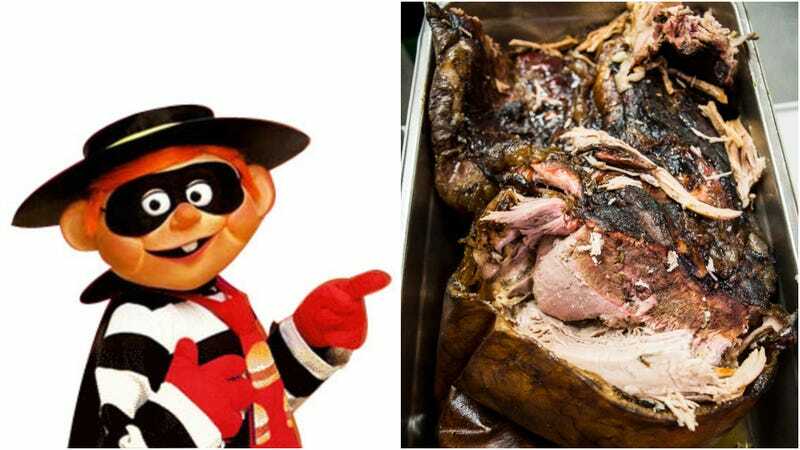 Despite police efforts, the brisket bandit is still at large.